SPRING SALE - 30% DISCOUNT! 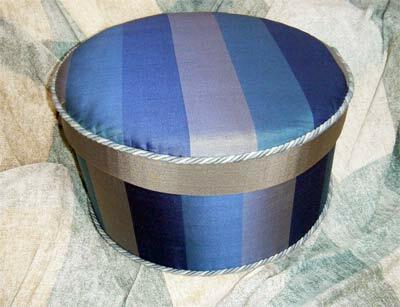 This box is a large Hat Box covered in contemporary style, with a striped faux silk fabric in different shades of blue. 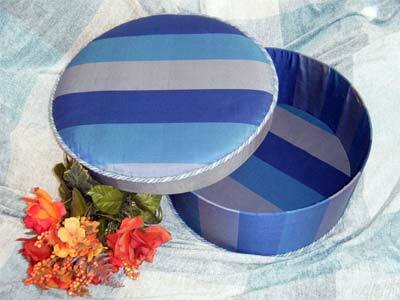 The lid is softly padded and the inside of the box is lined with the same striped fabric.